This time of year is so busy for me, and I tend to get a lot of emails in October, November, and December from people wanting portraits or ornaments by Christmas. However, I usually book up by September, so there's not a lot of availability in my schedule to serve those customers shopping later in the season, which is a bummer! I hate to turn away business because I really do think these portraits make the best Christmas gifts. But since I'm just one lonesome lady over here painting while my kids are napping, I have to be pretty strict with the work I agree to take on. and so on. 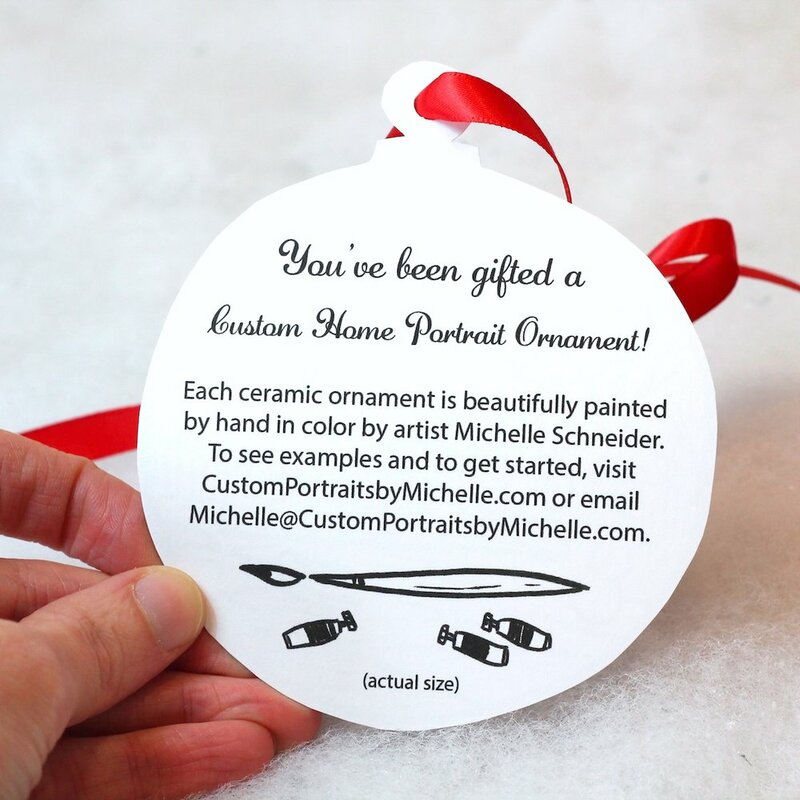 I have gift certificates available for each portrait/ornament I offer in my shop, so if you'd like a custom Christmas gift this year, please let me know by purchasing a portrait and then writing "gift certificate" in the notes to seller box during checkout. I'll email you a PDF printout of your gift certificate for easy and fast delivery. 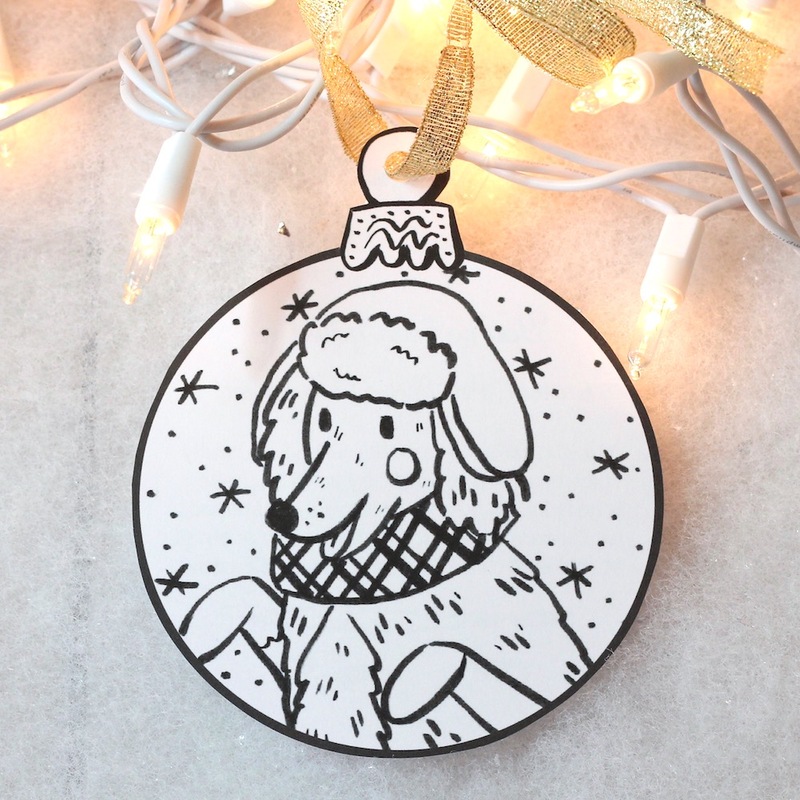 I've just opened up 10 spots for ornament gift certificates and 10 spots for portraits in my shop (to be fulfilled in January), first come first serve. Please know that ideally I'd LOVE to serve every person who writes to me over the next few months, but simply can't squeeze it all in before Christmas. These gift certificates are my way of serving my customers without the pressure of having to work 60 hours a week (boooo). Please email me with any questions or special requests by filling out the form below. I've always loved ceramics. I loved my pottery classes in college, learning to use the wheel and make small pinch pots, learning about glazes and kiln firing and how hot is too hot for each clay piece. My favorite artists at outdoor festivals are almost always the potters. I'd love to fill my kitchen with handmade pots, mugs, bowls, plates, you name it. But of course, when you finally graduate college, you kind of need to pick a focus. You can't experiment with different mediums your entire life and take classes full time forever if you want to run a business. I always knew I wanted to be a painter and illustrator, but if I could do it all (and I definitely cannot), then I would add "ceramics" to my resume. And if there were 20 more hours in every day, I might think about turning part of my studio into a mess of clay and kiln and throwing wheel. Since I certainly don't have time to make my own pottery just for fun, painting someone else's pottery is the next best thing. I love how tactile it is, the roughness of the bisque ware, the paint all over my hands and in my hair, the dimensionality of each piece, the space it all takes up, the packages full of white pottery on my doorstep in the morning. Apparently my goal this year is to paint one million Christmas ornaments because I have ideas for designs and custom options and sizes coming out of my ears. I just LOVE this time of year and the promise it holds of exciting things to make and sell. The thing I appreciate so much about having my own business is how free I am to reinvent myself whenever I want, to try new things and add painted ceramics to my shop without a single person telling me not to. Anyways, I guess this whole post was just one long love letter to art and ceramics and painting. My attempt at selling all of these painted beauties is an attempt at sharing my love of art with all of you. So be sure to check back here often in the next few months for a chance to purchase all the fun things I'm working on now! And if you want to experience the joy of creating your own painted pottery piece, please sign up for one of my Fall classes!